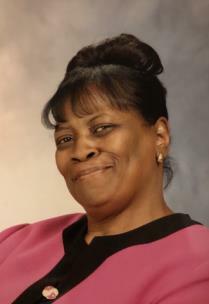 Minnie "Sister" Bynum, 76, formerly of Atlanta, Georgia, passed away on January 16, 2019, in Fort Oglethorpe, Georgia. She attended Turner High School in Atlanta. She was employed by Grady Memorial Hospital and Hugh Spalding Hospital in Atlanta as an area clerk, and received the Exceptional Service Award for her dedicated service; she was a member of Jones Avenue Cathedral Church in Atlanta until moving to Fort Oglethorpe. She was previously married to Greenie Bynum for 14 years and was a mother figure to many. She was preceded in death by her parents, James and Lizzie Rogers. She leaves to cherish her memories her siblings, Mary A. Garth, James Rogers, Jr., Susie Copeland and Jacqueline Rogers, all of this area; devoted cousin, Brenda Hornsby, and dear friends, Betty Ann Parham, Alma Simmons, Loretta Scurry; loving friend, John, and a host of other relatives and friends. A memorial service will be held at 3 p.m. on Saturday, Jan. 26, in the chapel at John P. Franklin Funeral Home, 1101 Dodds Ave., 423 622-9995.